Situated in the heart of the Leicestershire countryside within Medbourne village the tennis club enjoys excellent facilities as part of the thriving Medbourne Sports and Social Club. The tennis club has three floodlit courts and the use of the sports club house with excellent facilities, whether it be for a club event or league matches. 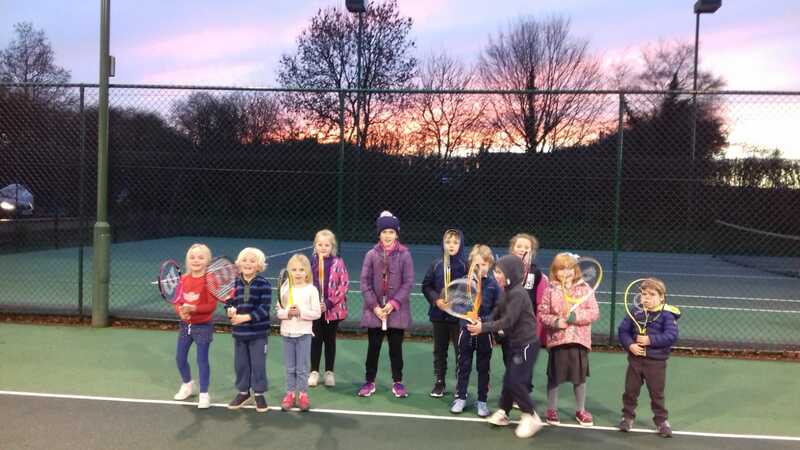 Tennis is played all year round on the courts and coaching continues through the winter months for adults and juniors, take a look at the 'Coaching' page to see the programme for 2019. We are an LTA affiliated venue, run by and for our members, providing social and competitive tennis for all ages and abilities, with a range of membership packages available. The club also has an inclusive social scene centered around the clubhouse events and the licensed bar. A number of the club's coaching sessions are open to non members, this is indicated on the coaching pages of the website. The social tennis scene runs around club mornings and club nights which can run throughout the year as floodlights are on hand. For those who wish to play competitive tennis: the club runs in house tournaments from May through to October. The club fields, Ladies, Mens and mixed doubles teams in the Leicestershire County, Summer and Winter Doubles Leagues. In 2018 Summer league the Ladies 1 Team secured a deserved promtion to the 3rd Division, the Ladies II Team remain in Group 5A. The club is very inclusive and aims to facilitate as many members as possible who wish to play competitive tennis to take part in the league games, as such there are sufficient number of Ladies wishing to play in League games that the club is proposing to have a Ladies III Team in 2019. The club enjoys a a dedicated committee chaired by Mandy Gillam, who all have the best interests of the members, in their focus at all times. Regular Newsletters and communications are sent by email and can be found on the 'What's on' page. Committee members and their contact details can be found by clicking on the link 'Committee' tab.